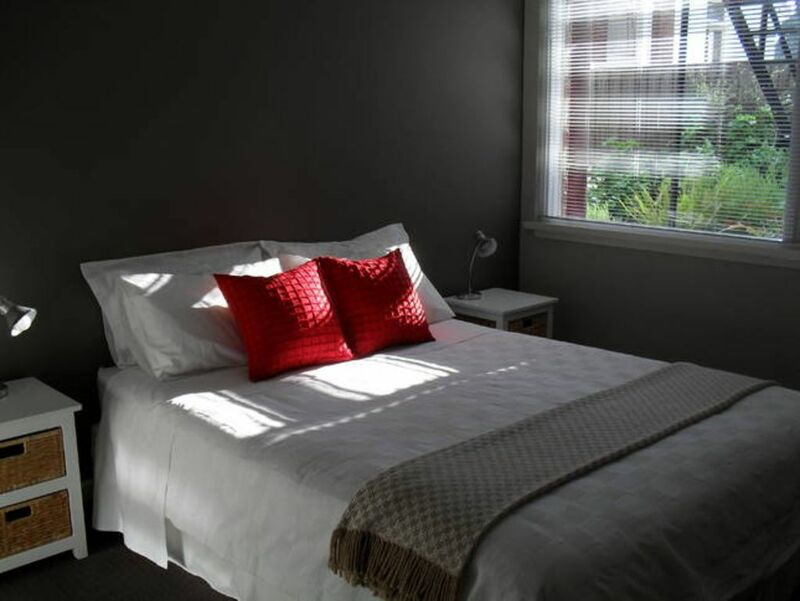 Executive quality renovated 2 bedroom fully self-contained apartment, suitable for couples. Both bedrooms have built in robes. There is a queen size bed in the main bedroom and a double in the second. Just 2.5km from central Hobart. 2-5 minute walk to Royal Hobart Yacht Club or University. 1 km to the Wrest Point Casino. 5-10 minute walk to shops and Restaurants. 20 minute walk to Salamanca Place and Mona Ferry through Battery Point. In a quiet cul-de-sac, off street parking for a small car, or safe on street parking. Near bus route. For Corporate stays please enquire re length of stay and applicable rates. This accommodation is NOT suitable for children or infants. Cots and roll-aways are not provided. Married with four adult children. Have been self employed most of my working years, 15 spent in hospitality running a small resort. We live on the beautiful East Coast of Tasmania, just an hours drive from Hobart. We purchased this property originally to renovate and sell, but fell in love with it after the renovation and decided to keep it! Occasionally we stay in the Apartment and just love the close proximity to everything, Restaurants, Supermarkets and friends. I just park the car when I arrive and walk everywhere. Sandy Bay being such a lovely suburb. Have stayed at a number of vrbo/homeaway apartments over the years and have generally found them hit or miss. This was a lovely stay over three weeks. The apartment is very nice, well furnished with modern appliances, very comfortable, and a superb location on a quiet cul-de-sac in Sandy Bay. Everything worked great and Wifi was excellent. The hospitality items in the refrigerator on arrival were a wonderful touch. I didn't need a car while here due to close proximity to battery point and Salamanca, and also due to excellent bus service and occasional uber. Tricia was extremely accommodating and very easy to communicate with, probably the best Ive encountered when renting through this website . A well-appointed and comfortable home in an outstanding location is just the beginning. Patricia is an incredible host - thoughtful and kind - and everything was just so easy. I highly recommend a stay here, in beautiful Sandy Bay. The apartment is in a quiet cul de sac and within easy walking distance of many restaurants and food outlets. The owner, Patricia is very approachable and helpful. A very comfortable flat with an extremely well equipped kitchen. In all a most enjoyable experience. Very clean and lovely little welcome gift on arrival ! !